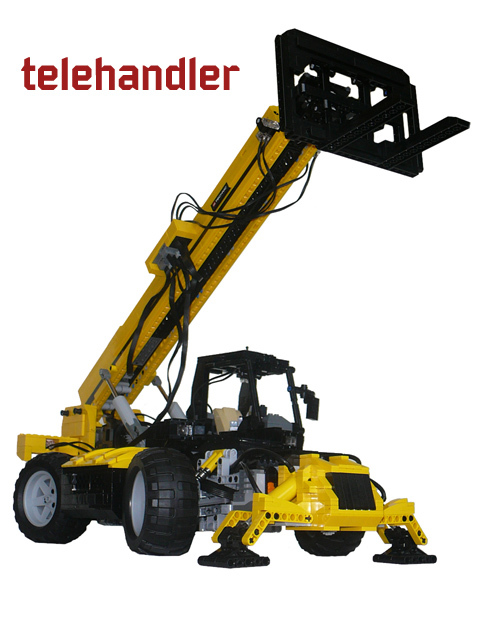 Intact or fistachpl, made a few weeks ago an extensive presentation from his new Telehandler model, at Eurobricks. This is another model with an awesome cross looking. A mix from Technic and Model Team, without sacrificing the functionality a bit. In fact it has an unusual number of functions, from which I would highlight the fork tilting. 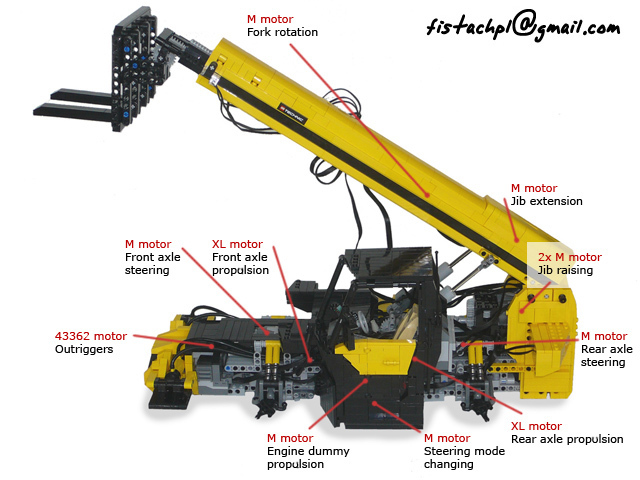 Usually a missing function in LEGO models from this type of machinery. 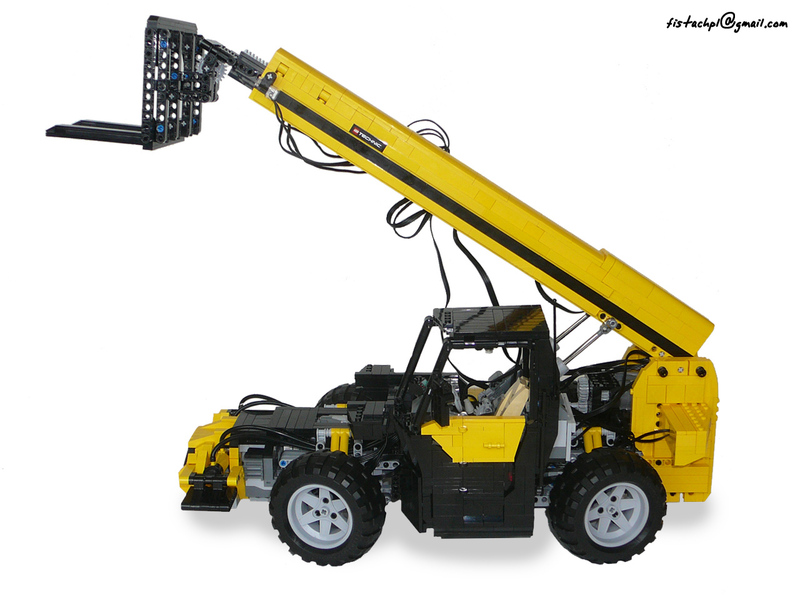 If you remember the LEGO recent official Telehandlers (8295, 8293), this was always a manual function controlled close to the fork itself. 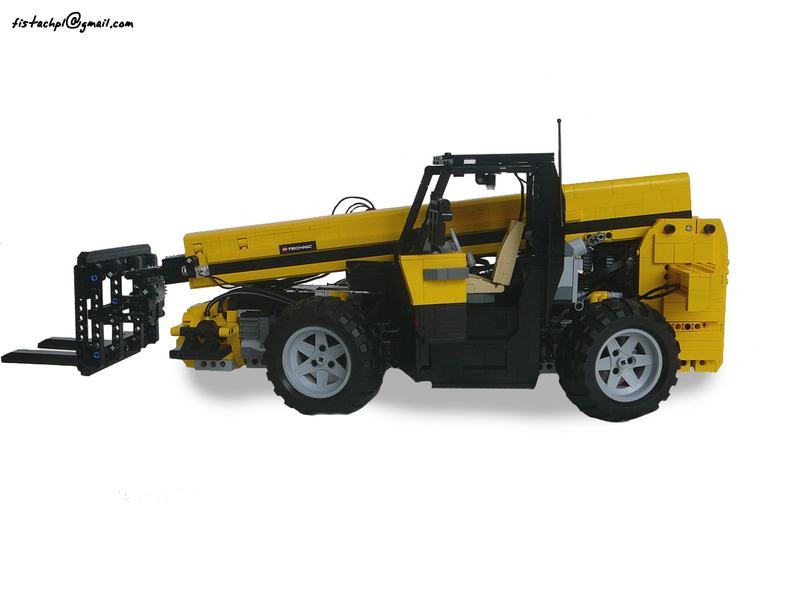 The boom can be operated between -11 and +63 degree angle and can be extended up to 260mm, thus operating at a maximum height of 440mm. You may find some more photos from this model, at Fistach's Brickshelf folder. amazing! That accuracy is just admirable. Amazing MOC.. nice attention to detail. Great MOC with alot of functions. Off-topic, but am I completely wrong or are pneumatics being like extremely expensive these days? on bricklink I can't find a new style cylinder for any less than eight dollars. just saying this for I just got my first pneumatics from the log loader and noticed how freaking useful they are. Now there's none around for a reasonable price.. how I wish LEGO would produce a pneumatics kit.